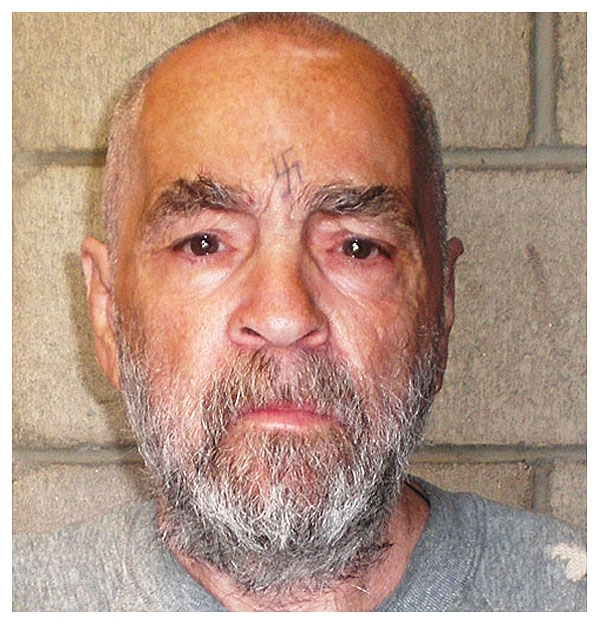 Charles Manson was photographed by the California Department of Corrections in March 2009 at the age of 74. The convicted murderer, serving a life sentence at Corcoran State Prison, will be eligible for parole (for the twelfth time) in 2012. Submitted by welloh on Thu, 2011-05-26 13:41. At least you know your legal system is still alive because this guy gets the right to apply for parole. Not that he'll ever see the light of day. Submitted by TONY SOPRANO on Sun, 2011-05-01 09:04. "OH" Charlie did his time for the crime. We are in AMERICA are we not people? MY GOD ! It would not be right to let Charlie DIE in prison.Thats what I think. Submitted by lisasmurf82 on Tue, 2011-03-29 14:48. Submitted by biggmama on Thu, 2010-12-16 14:01.
wow im so glad i was no where close to thier when he was doing what they was doing. i have read all the books about him it still blow my mind. Submitted by snowflake on Wed, 2010-12-15 20:53. He has alot of pentup hatered towards people by now, if they were 2 free him and he moved back into society, would YOU want HIM 2 move into ur neighborhood, were maybe ur child,wife/husband, mom/dad makes him mad and his followers KILL sum1 that u loved? I WOULD NEVER LET HIM HAVE THE FREEDOM TO KILL AGAIN!!!!!!!!!!!!!! Submitted by FatIgor on Fri, 2010-12-17 21:25. Wow! I assume that all the comments here are from Americans, but snowflake must be from one of the 'special' states like Alabama. Submitted by franktherabbit on Mon, 2010-11-29 13:51. Submitted by ELAINE L. GUIDO on Wed, 2010-11-24 21:31. One sick man and we the people are paying for his stay in Corcoran State Prison. Being that Obama keeps traveling all over the world -- and he has so much down time perhaps he should look into this. Submitted by franktherabbit on Mon, 2010-11-29 13:49. Submitted by silly pants on Tue, 2010-10-19 17:49. Submitted by harvick on Mon, 2010-10-11 21:33. Submitted by lisasmurf on Sun, 2010-10-10 08:09. Submitted by MissT1963 on Wed, 2010-09-01 18:44. Submitted by arizonazfinest928 on Wed, 2010-09-01 17:57. Submitted by silverhairedgranny on Fri, 2010-10-15 21:25. I doubt if he was anyone's biotch; I think they kept him off to himself- not sure. Submitted by DennisTheMenace on Mon, 2010-08-30 07:44.